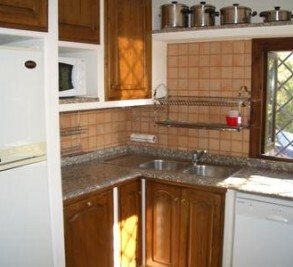 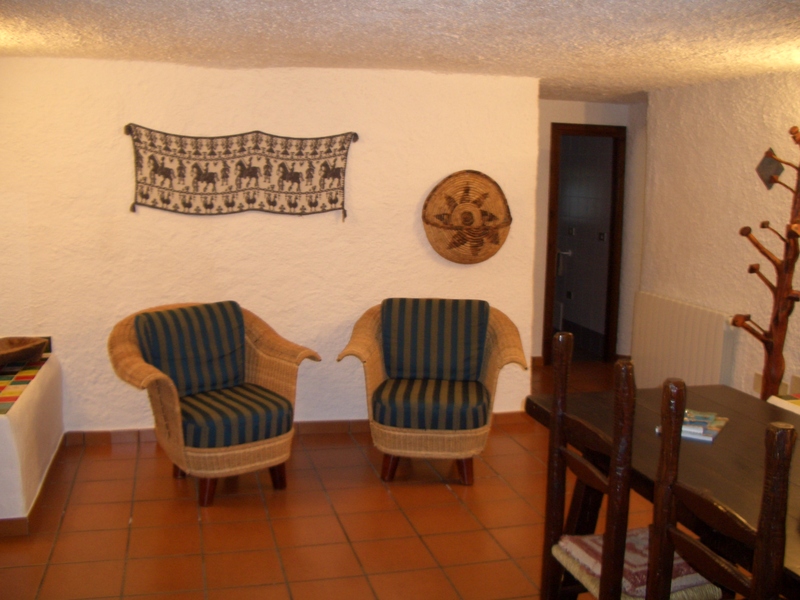 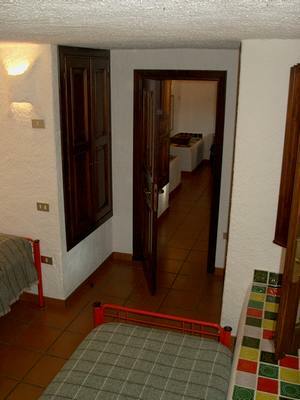 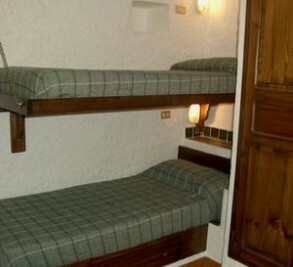 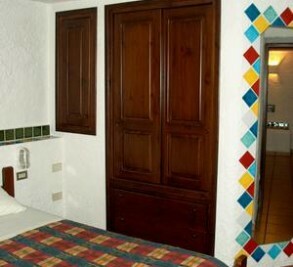 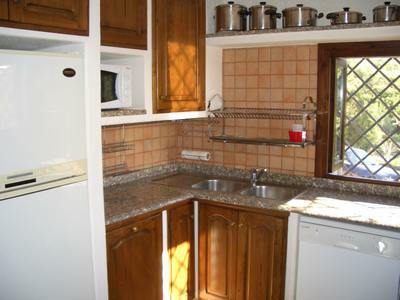 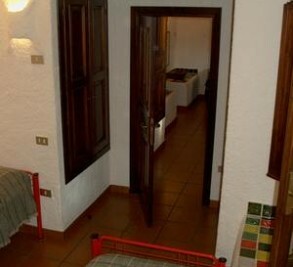 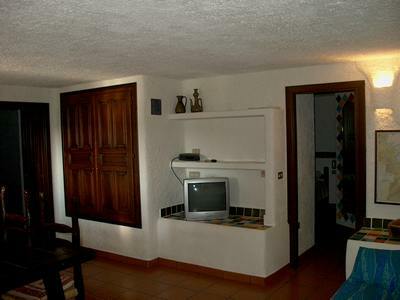 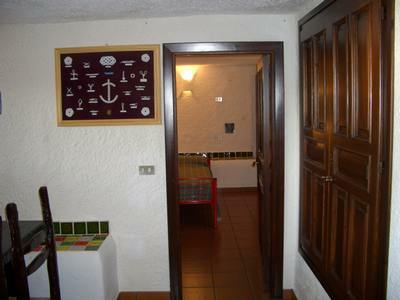 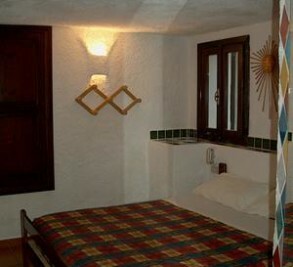 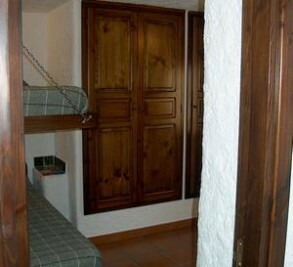 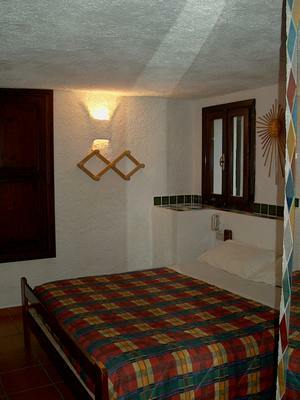 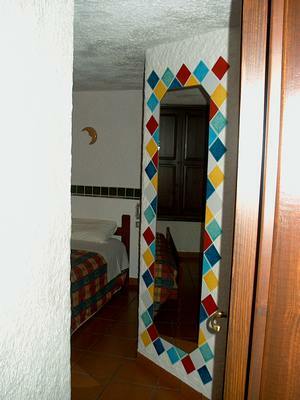 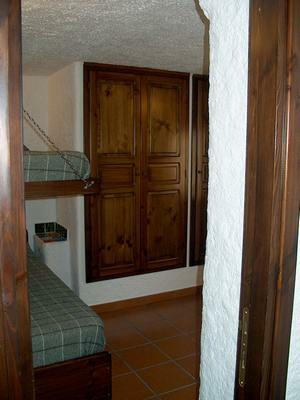 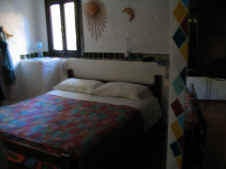 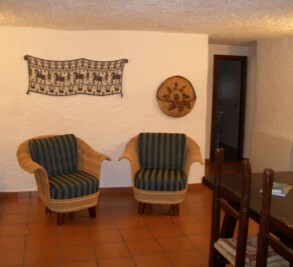 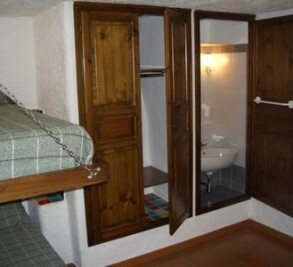 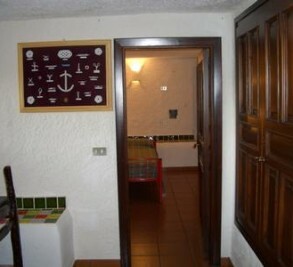 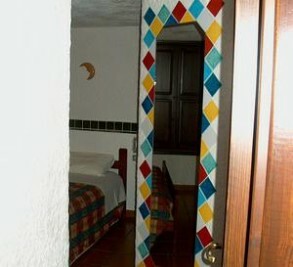 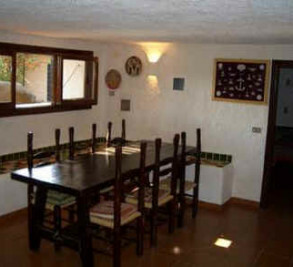 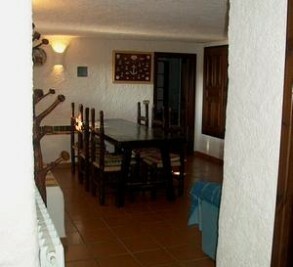 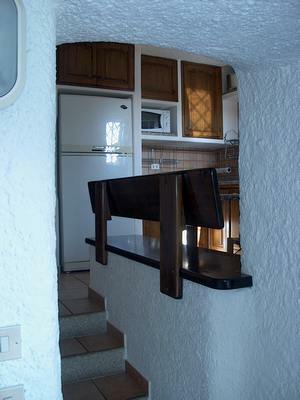 Independent apartment of 105 square meters for 6/8 people. 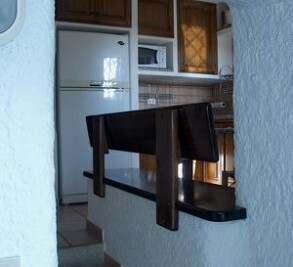 3 bedrooms + 2 bathrooms + living room + kitchen. 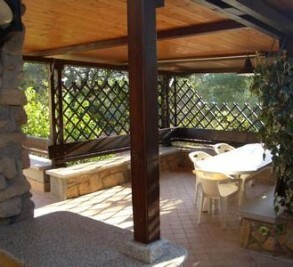 COvered Pergola 30 square meters. 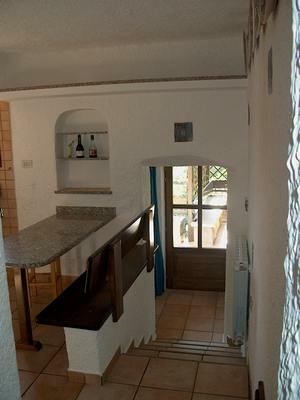 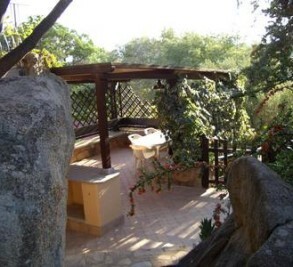 Open Terrace of 30 square meters. 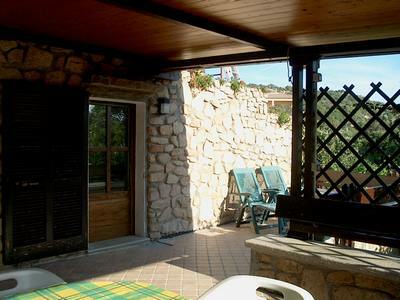 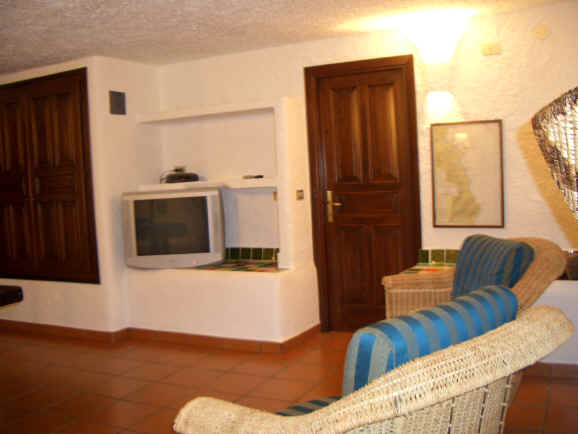 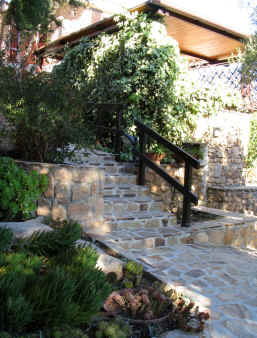 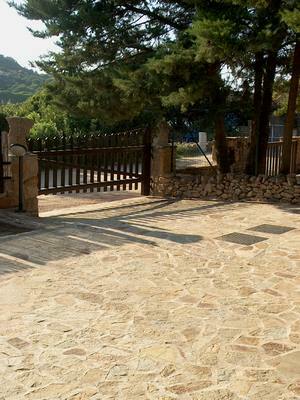 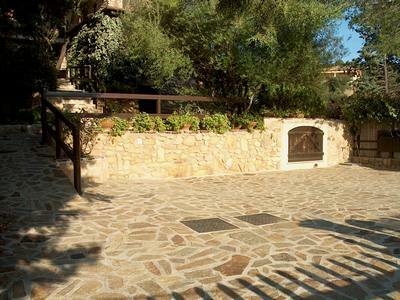 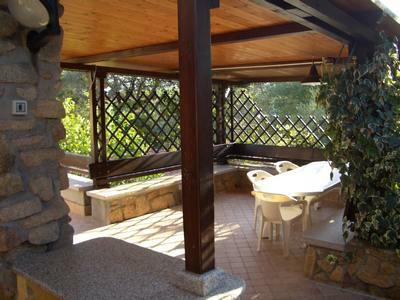 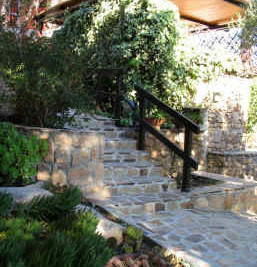 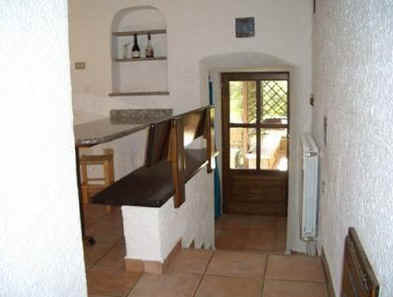 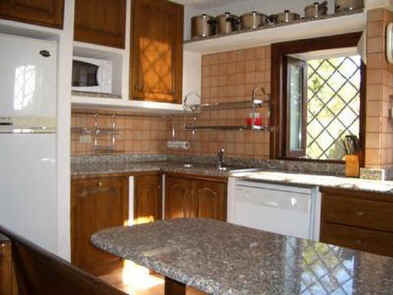 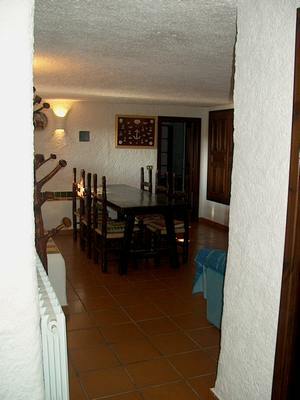 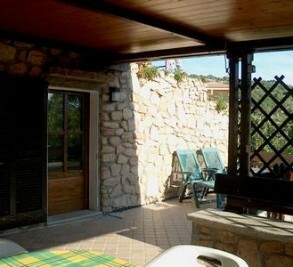 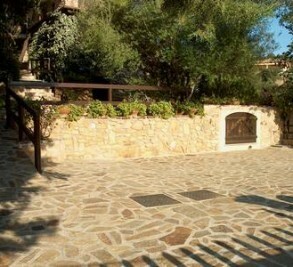 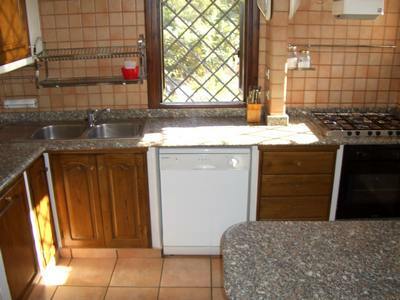 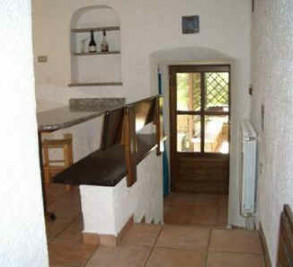 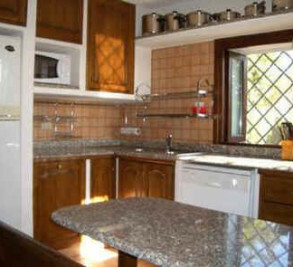 Entrance with 300 square meters of walled garden for exclusive use and two inside cars park lot. 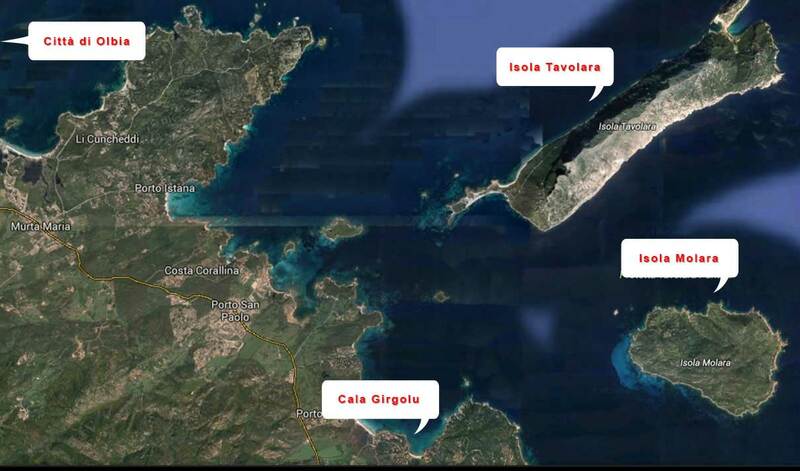 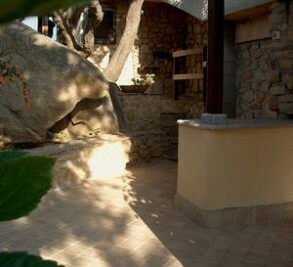 Distance from the sea 50 meters. 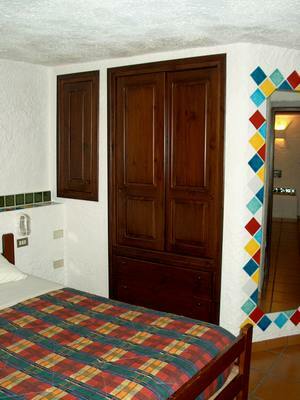 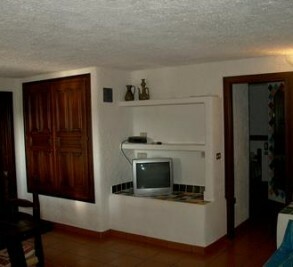 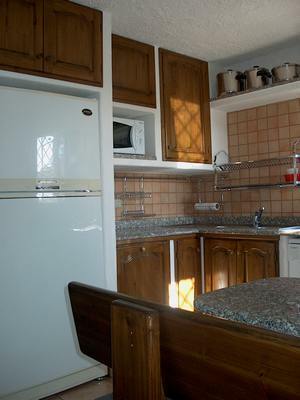 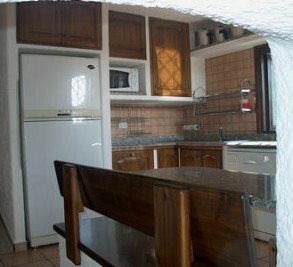 Double bedroom + 2 cabinets with drawers. 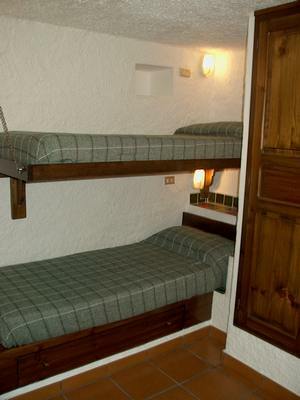 Bedroom 2 bunk beds + cabinet with drawers + washbasin. 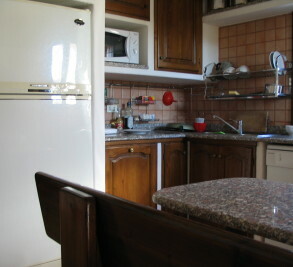 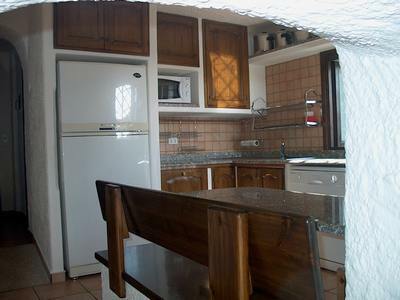 Kitchen: refrigerator + freezer 400 liters 140 liters + stove 6 burners + hood + oven + double sink + dishwasher + microwave + table 4 places (supplied for 10 people). 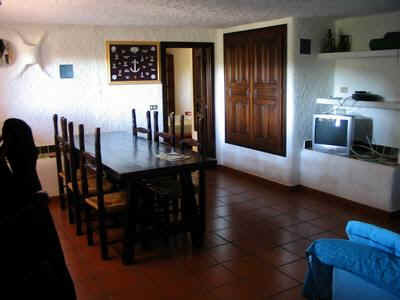 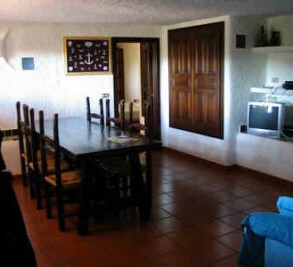 Living / dining room: table seats 8 + 2 armchairs. 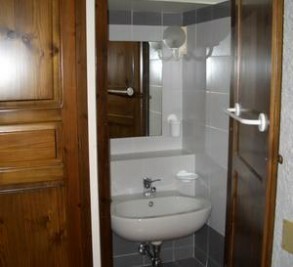 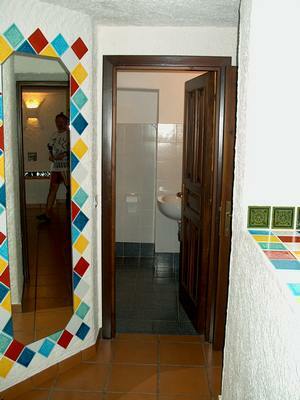 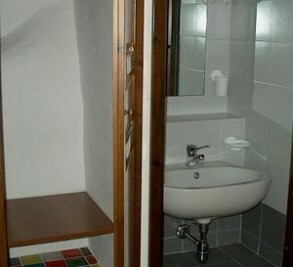 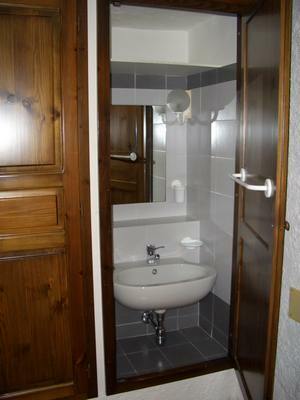 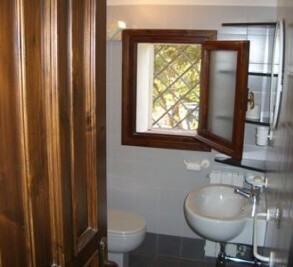 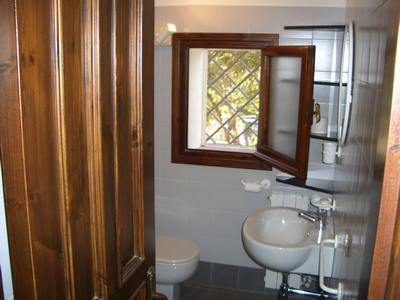 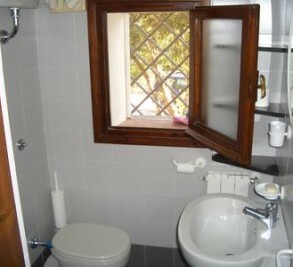 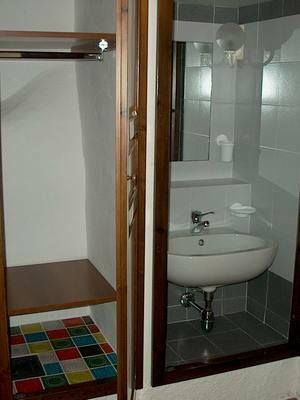 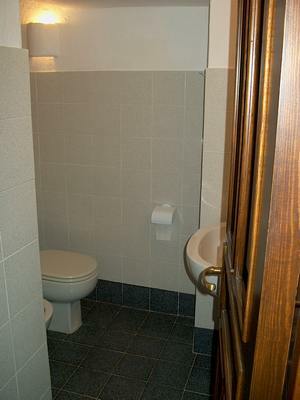 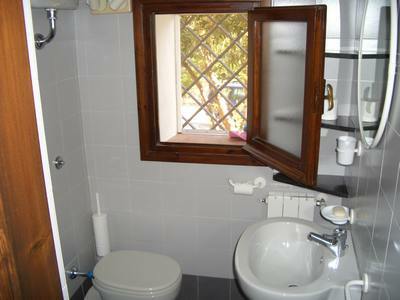 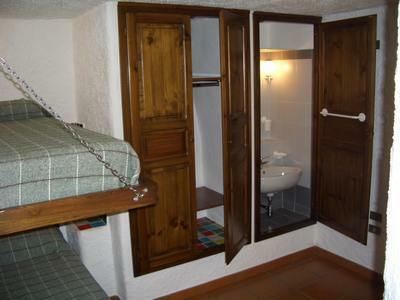 Bathroom: washbasin + shower + toilet + bidet. 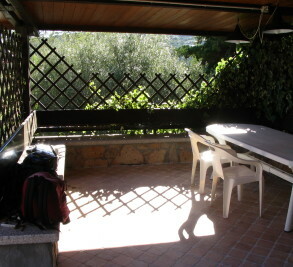 Covered terrace: 30 square meters + table 8 seats. 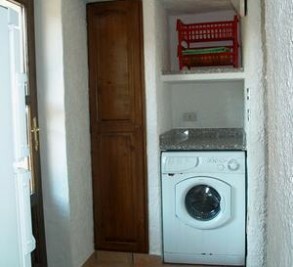 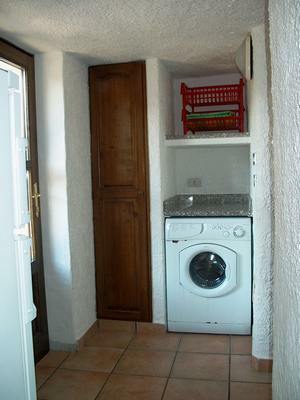 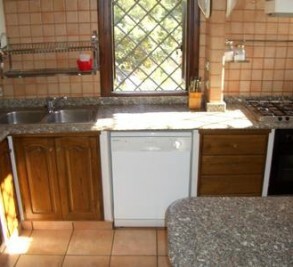 Entrance : second refrigerator + washing machine. 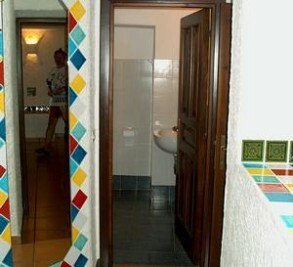 Outdoor shower (hot and cold). 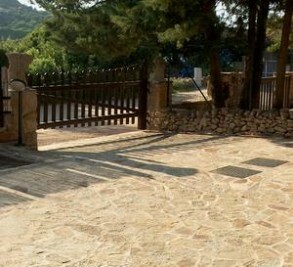 Entrance: 2 cars inside + garden + barbecue. 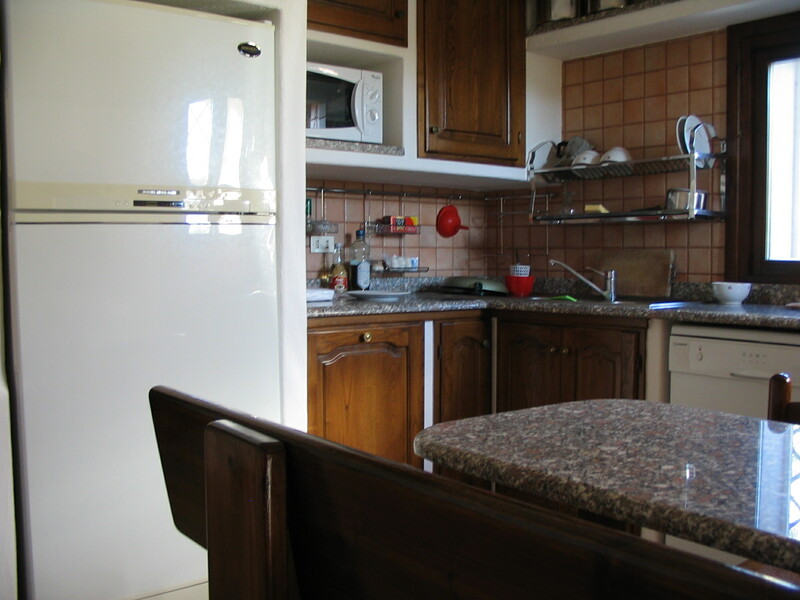 Gas boiler for hot water in a continuous stream. 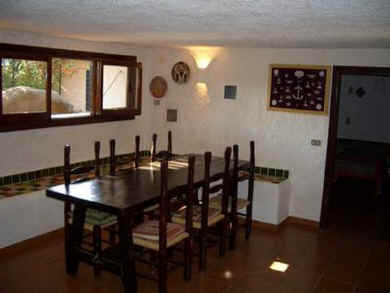 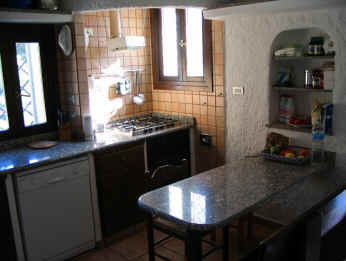 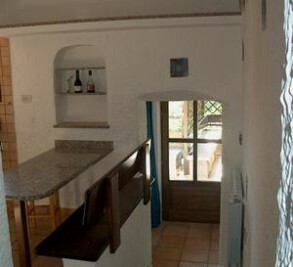 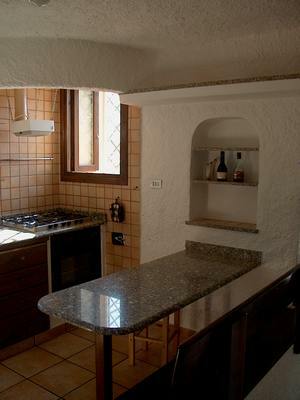 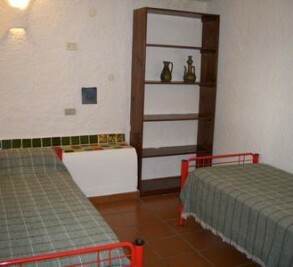 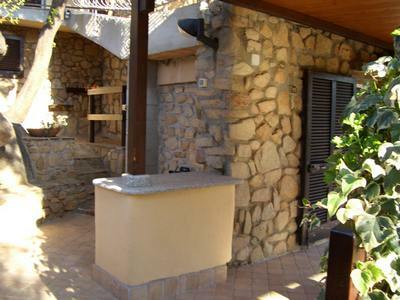 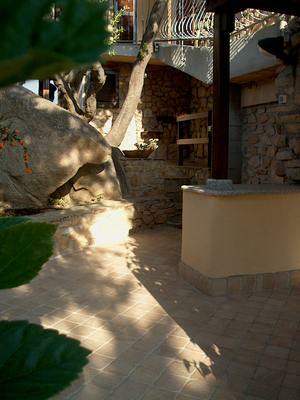 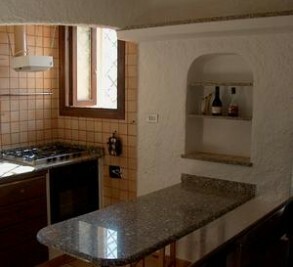 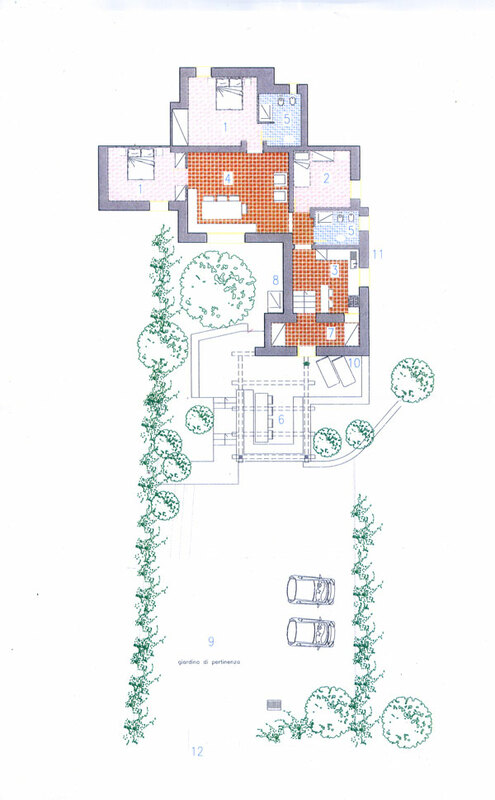 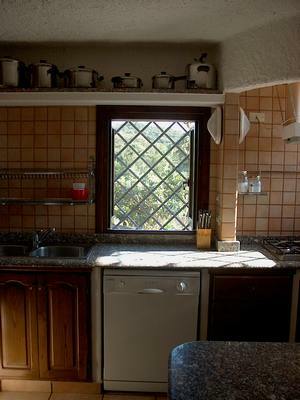 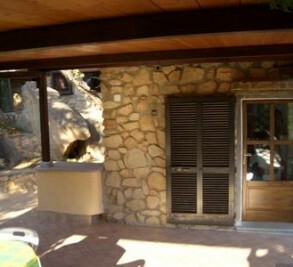 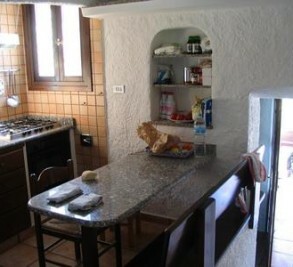 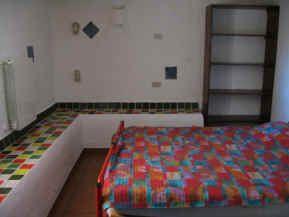 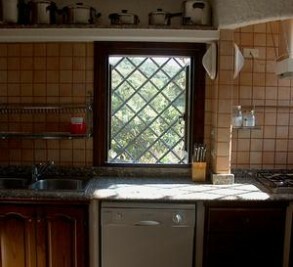 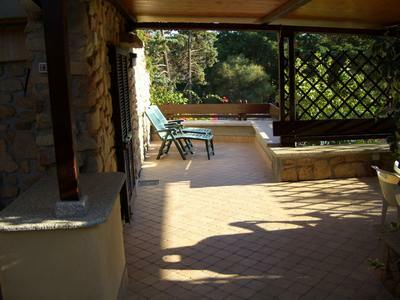 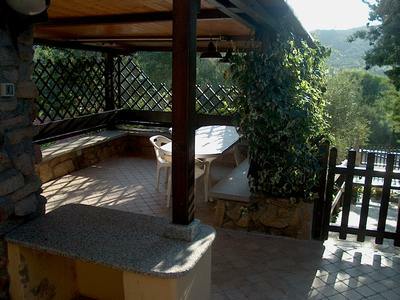 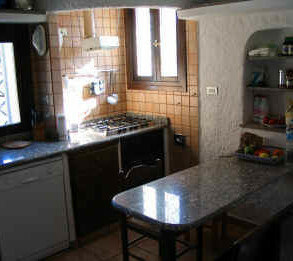 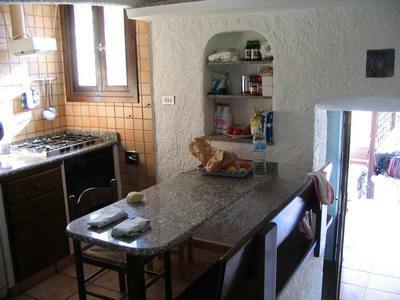 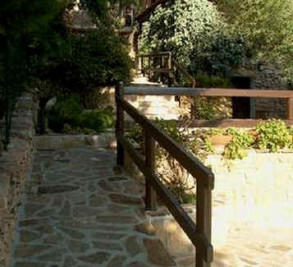 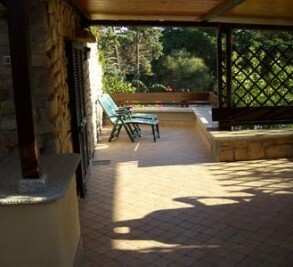 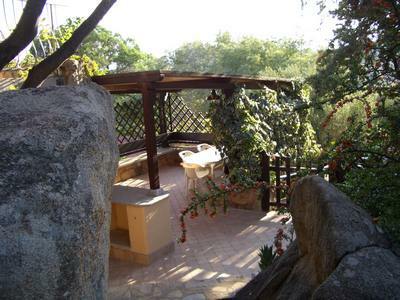 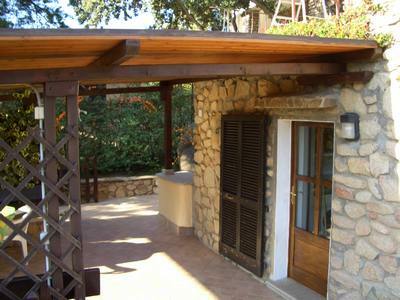 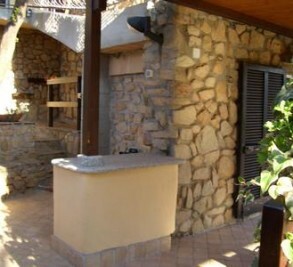 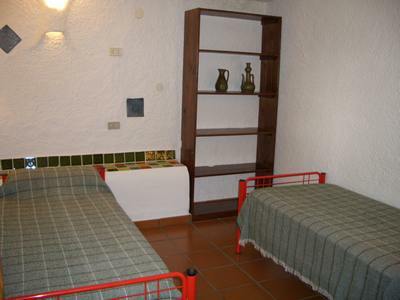 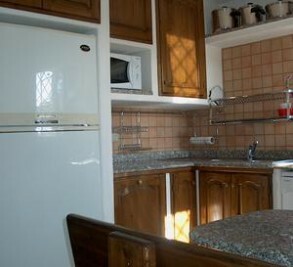 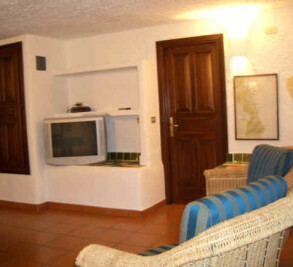 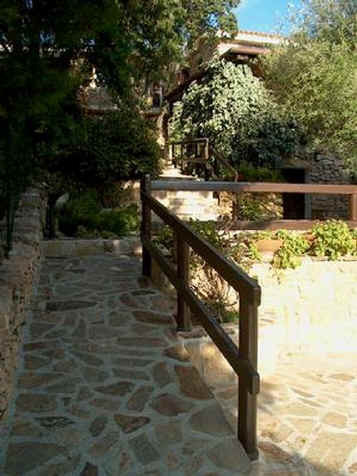 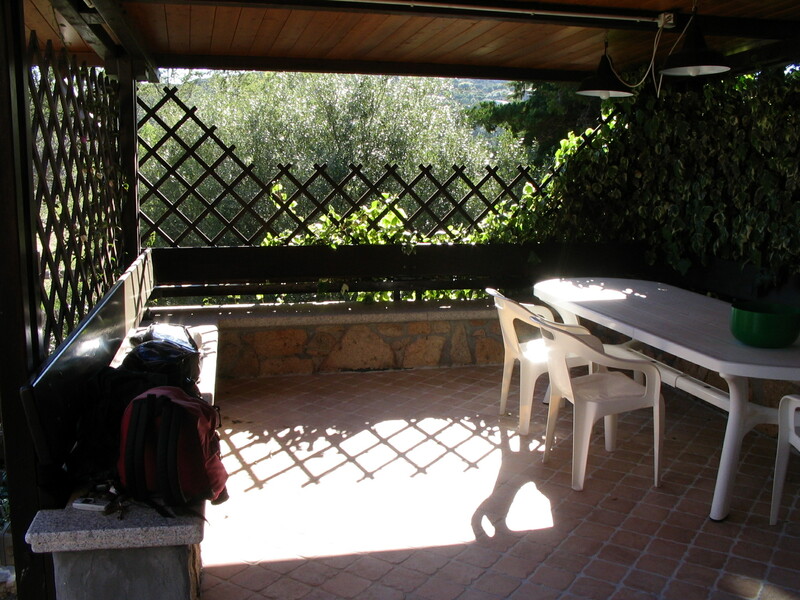 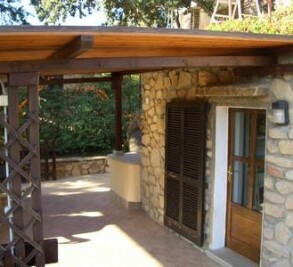 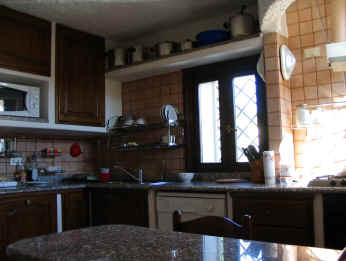 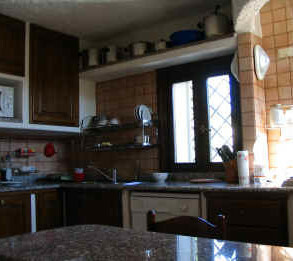 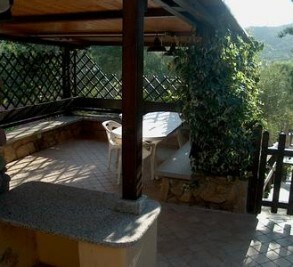 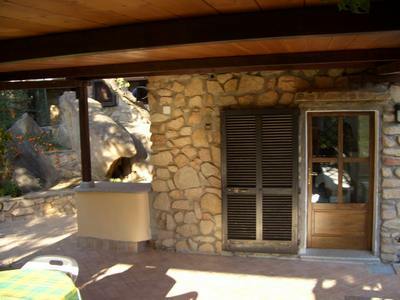 PRICE AND AVAILABILITY “IL LECCIO HOUSE"
For periods greater or lesser than 2 weeks please ask for a custom quote.